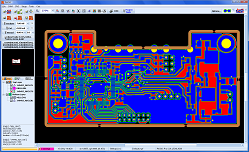 is software specifically designed for PCB (Printed Circuit Board) prototyping, using the Accurate A3xx/A4xx/A5xx/A6xx desktop CNC machines. It now includes several common machining functions. Our main goal was to create high quality software that is both extremely accurate and user friendly, with a very clear and simple to use interface utilizing pop-up menus, function buttons and high quality graphics. The Selections and calculations for standard operations are automatic, but the operations can be accessed by the user if needed. You can explore the PhCNC functionality through our demo (available at the “downloads” page). Please note that some of the software capabilities are missing in the demo version, nevertheless, it is completely functional, since it simulates the presence of the A350. We welcome you to try it out today without any obligations! PhCNC is not simply the software that drives our machines. It is the "backbone" of the entire system that controls and communicates with all system components. • PhSTdrive™ our all axes intelligent stepper drives. Named above controllers are used in our current models and are designed and manufactured by our company. 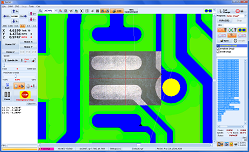 We are using 100% gold plated circuit boards and the best assembly shops in order to have the highest possible reliability available by the current technologies. All controllers above are also in communication with PhCNC software and will receive a firmware updates (if needed) during the installation of a newer PhCNC revision. This approach make us also leaders in the innovations in the PCB prototyping and micro-machining business. All new models listed currently on our web site are extremely accurate. The absolute accuracy is definitely 8 to 10 TIMES better than the competitors (LPKF, MITS, T-TECH) and they never published this parameter. It is logical to ask how we achieve this and how we are reaching this conclusion. The answer is short and prompt. Using high quality linear encoders we study the actual positioning that you can get from the highest quality screws and nuts. It is logical that the absolute positioning errors exist in all models on the market. What we did? • for all standard models we start calibrating the screw/motor assemblies. We run them end to end in a 0.01 inch (0.25 mm) steps and compare the position with the reading from a temporary mounted high accuracy linear encoder. As a result we got a "map" of the screw inaccuracy that is recorded in the axis intelligent PhSTdrive and dynamically compensated during the actual positioning. • for all high end models we have the linear encoders permanently mounted and full servo positioning feedback also allowed by the PhSTdrive capabilities. • on top of this we have full thermal compensation for the screws, encoders and even the material under machining, allowing our systems to be the most accurate in the current market. What is handling this complicated but very effective accuracy improvements. 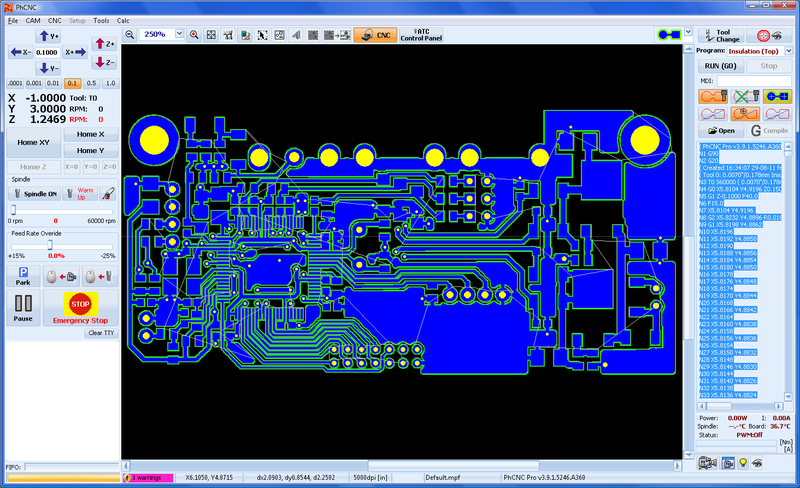 It is the PhCNC control software. This is the reason to call it the "backbone" of our systems. • Standard version of PhCNC is included with each machine. • Enhanced version, PhCNC Pro is optional and includes many additional functions (see details below). • PhCNC64 - 64bit version of PhCNC for x64 Windows (Vista/Win7/8/8.1). PhCNC64 (64bit) is completely identical, functionally and visually with PhCNC (32bit). The main advantage is that it can address more than 4GB RAM (extremely good solution for handling large and complicated projects). Below are listed the operations you can perform in each mode. Please consult the PhCNC User's Manual for a complete description of all the features included in this software. • Assign regions for excessive copper rubout and choose the tools to be used in the rubout process. • Select inner/outer tool diameter compensation for all cutting operations. • Universal input "PhCNC printer" driver allows you to import your design for front panels and nameplates from any CAD software (not available in the demo version). • Load/Save/Import PhCNC project files (PHJ). Excellent function for repeated projects manufacturing. • machining larger than the machine table projects (up to 60 inches along the X axis). • repeat the machining process of selected areas of the project for any given reason. ** available only in PhCNC when DXF import is used. 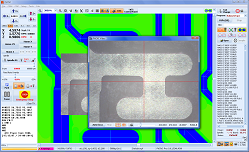 Even though, the software is very powerful, it is designed to be incredibly easy to use, so once you are equipped with the Accurate A3xx/A4xx/A5xx/A6xx run by PhCNC your PCB prototype is just a few clicks away. 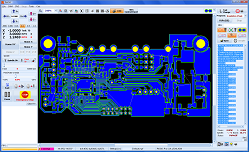 Just load your PCB files, indicate the tools for insulation, rubout and cutout, and the Accurate A3xx/A4xx/A5xx/A6xx is ready to start. * Windows XP 64-bit is not supported! ► Our software versus others - Article, showing with table and pictures the results from performed tests with our software and the competitors' ones. ► Videos - This page provides links to and descriptions of videos, showing how our machines work .